Do you want to approach the Romanian market and it seems difficult to entry into this market in terms of administrative acts, bureaucracy or different from the mentality than your country although it may be very profitable? Choosing the right partner is critical in successfully entering a new market! 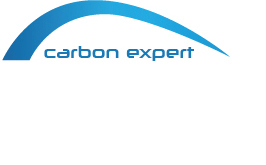 Carbon Expert is the specialist you need to enter the Romanian market, either it is power market (conventional and renewables), CO2 emissions market, green technologies market, LEDs etc. Our participation in the last five United Nations Convention on Climate Change (UNFCCC), being the only Romanian consultants present at these international events, recommends us in assisting Romanian and foreign partners who want to trade emissions of greenhouse gases or carbon voluntary certificates, or foreign partners wishing to address the Romanian market. Having a solid knowledge of Romanian and international economic reality as well as financial instruments and stock exchanges expertise, our consultants speak several languages ​​(English, French , Italian, Spanish) to facilitate understanding the Romanian market in your own language . Do you need a representative of your company in Romania? We can offer you an expert in your industry! Also, if you want to amicably settle certain disputes that you have with various clients or suppliers in Romania, we provide professional services of mediation. 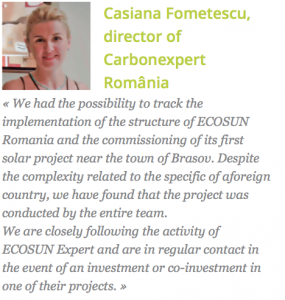 Together, we can achieve feasible and profitable projects on the Romanian market! Just contact us! Verified Carbon Standard – U.S.A.